Highsmith’s PBSC colleague Clarisse Peteza-May recommended her for the appointment. 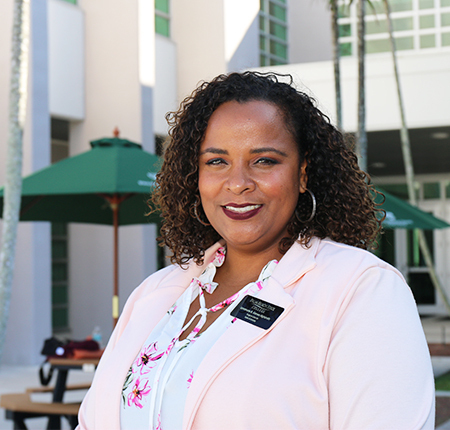 Peteza-May, an academic coordinator who manages the College’s articulation agreements with the Palm Beach County School District, has been on the FCPN board for two years. She noticed Highsmith’s role overseeing the College’s postsecondary adult vocational programs in Welding Technology, Machining Technology and Heating, Ventilation, Air Conditioning and Refrigeration. According to its website, FCPN strives to ensure that students “acquire the academic and technical skills needed to be ‘college and career ready’ and to be prepared for the high-skill, high-wage, high-demand occupations of the 21st century.” The organization holds competitions for best practices, hosts an annual symposium and provides a network for communicating and sharing resources to support members in program implementation and improvement. I’m so proud of my friend and colleague LynnMarie! She has a brilliant mind. Lynn is a great choice! She is a dedicated Program Director and will serve the FCPN very well. Congratulations, Lynn! Very well deserved. So proud of you Lynn Highsmith! Congratulations, Lynn! You will certainly be an asset to the board. Congratulations Lynn!! I’m so happy for you!